Core Shell is featured on Mac App Store! Along with other excellent apps, Core Shell is chosen by Apple editor, featured in Apps and Games We Love Right Now. It's really an excited news, both Core Shell and Core Tunnel are featured. It's you, passionate users of Core Shell / Tunnel, encourage us delivering excellent work, thank you all for helping! This is an amazing app, more fast than others. Just add more features like customize colors (like iTerm2), transparency, dropbox sync, and a iOS version. Core Shell can be the "Sublime Text" of SSH clients. The appearance and color scheme customization is nice. But at present, our major focus is on features that make professionals doing their daily work more efficiently. With the next version (which is version 1.6), you can download / upload files over a shell window, that's impossible on most of terminal emulators. That is already supported. You can specify the Core Shell syncs with a folder that is enclosed in Dropbox local folder. 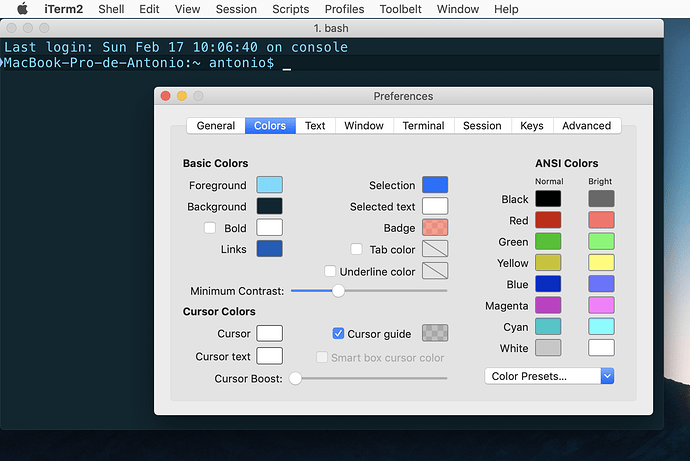 Believe me, color scheme customization will be a good point because just iTerm2 have this feature. When I write about dropbox sync, I mean something like the 1Password's dropbox sync. Termius has a good interface too but is too slow. ".opvault" is a folder not a file. 1Password lets you locate Dropbox's sync folder much faster, there is no different from "Sync with Folder". What color scheme that Core Shell lacks but you'd like to use? The future version (1.7 or later) of Core Shell will provide basic support for color customization, but in a different way. It won't provide a palette interface as in Terminal.app or iTerm2, but will gain the ability to load profiles exported from them.